The AutoNest project addresses the need for effective monitoring of water resources and the improvement of water related policies in respond to the WFD implementation in the riverbasin of Nestos/Mesta. 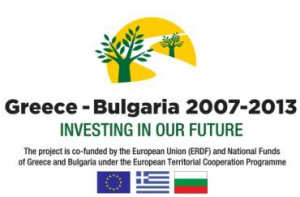 The overall objective of this strategic project is to develop an operational supportive mechanism for the Competent Authorities of water management in Bulgaria and Greece in order to facilitate the planning and implementation of sustainable water management along with civil protection. The infrastructural improvement and increased capacity of competent authorities in terms of water resources monitoring and management. The establishment of telemetric networks for water quality monitoring in Greece and Bulgaria and the development of a common framework of data processing for the collection of comparable, reliable and operational telemetric data. The civil protection against water pollution. The duration of the Project is 28,5 months (14/3/2011 -31/ 7/2013) and its total budget is 1.517.050, 00€. The project is co-financed by 85% by the European Regional Development Fund (ERDF).